When you start to study in Bari, you can visit the famous Trulli of Alberobello, swim in one of the most beautiful seas that you have ever seen or eat the delicious "panzerotti" that everyone is crazy about. 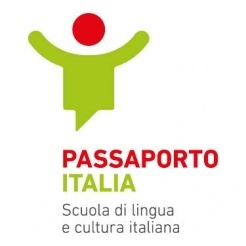 The staff of Passaporto Italia is formed by professionals ready to respond to all the needs for both foreigners and also Italians who would like to learn a foreign language. All our teaching staff are specifically trained and certified to teach Italian as a second language to foreigners. The staff’s frequent participation in teaching courses, workshops and conferences allows Passaporto Italia to guarantee an optimal quality of teaching. Every teacher shares their collaborative approach with another and develops a method which allows students to reach their learning goals and objectives. New DITALS course I and II level Duration: 30 hours Formula: Weekend Dates: 17.18,19 and 25,26 May 2019 Our courses are divided into lectures, workshops, analysis of teaching materials and exam simulations accompanied by group discussions led by DITALS trainers.